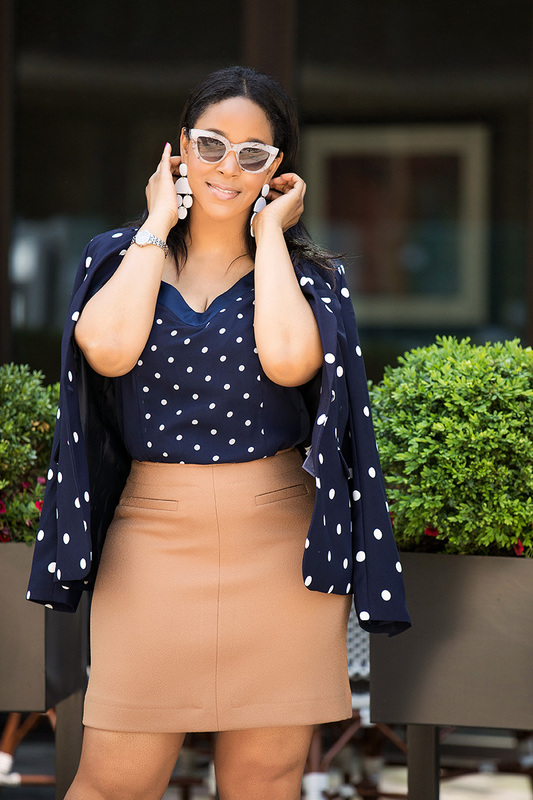 Polka dot prints are back in right now, and they are a fun, yet professional way to bring some flavor into your office wear, while still balancing your cool (and warmth). I picked up this set from Banana Republic last year in Denver. It was on super sale – I got both pieces for under $30. Banana still has a bunch of polka dot pieces (though not my particular set). But I’ve also linked to a bunch of affordable, and a few luxury polka dot camis and blazers. Mix and match different sized polka dot prints for an extra chic look!